Army life, a sad week and kittens.. If you’ve been in Turkey for the past week or seen the news stories and videos shared around social media, you’ll likely have heard reports about the Turkish soldiers killed in a PKK terrorist attack last week. Although it was hundreds of miles away on the Turkey-Syria border, it sparked off peaceful (for the most part..) protests across the country and in tourist resorts many bars closed early as a mark of respect during a 3 day period of national mourning. It was lovely to see so many people come together, with even people holidaying joining in the minutes silence and standing in respect of the national anthem which was played in some bars during the week. One of the soldiers who died was from Fethiye, and on arrival of his body by military plane at Dalaman airport, thousands of Turkish people took to the streets in cars and bikes adorned with Turkish flags to pay their respects. They drove around cities and towns beeping their horns, united in grief and respect for their fallen soldiers. A very patriotic country. click HERE for a video of the drive by of cars draped in Turkish flags in respect of the soldiers. Credit to the original poster via Facebook. There was also trouble in some areas due to the age old Turkish-Kurdish conflict, and a lot of Pro-Kurd offices were attacked – which was horrible to see, like everything, the acts of a few terrorists does not define an entire race, religion or population. I wont discuss the political side of the events or conflict further, but the fact that so many young men died was a real eye opener. Some of the soliders were young men doing their national service, and it could easily have been Berkay. He’s in a ‘safe’ place at the moment, but soldiers are being sent from his base to border towns every week, so the possibility is always there. It upset and angered Berkay and I think it’s been a tough week for all. It’s an unsettling time, and although there is no danger to tourists and life in resort continues as normal, it is a scary time to be in the army, whether or not you’re in there for a career or doing national service. It’s not a training exercise in a summer camp, it’s real life! 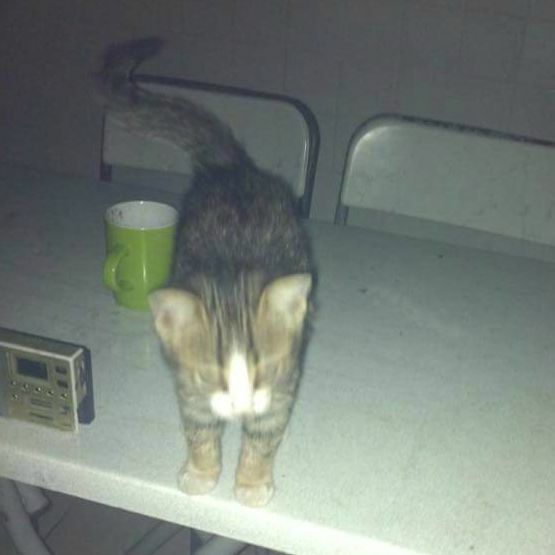 It’s not all bad, a cat somehow snuck its way into the base camp in Kayseri and Berkay has befriended it – there’s something about a bunch of soldiers sat around playing with a tiny kitten that is highly amusing, and given my previous sentence on this post, I realise the irony. Cute, though! We’re still unsure whether Berkay will have his 10 day break in October, and it’s looking like I won’t be able to go and visit anyway as it will be too late notice to take a week off from work – so the next time I’ll see him will be February, 10 months since the last time! Boo. hes broken his foot now so will probably have a holiday! 😦 but i dont think ill be able to visit still. ← Struggling through Army life..